We are extremely honoured to have the enigmatic Sue Stone as our VIP Gala Dinner Speaker. If you are joining us for the two conference days and the Gala Dinner evening then you will be completely inspired by Sue's Gala Dinner presentation. Sue Stone will be speaking on ' Love Life, Live Life'. 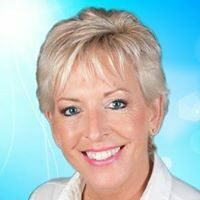 Sue Stone is the author of 'Love Life, Live Life', and a Happiness, Empowerment and Confidence Coach. Sue Stone is recognised as the UK's happiest and most positive person..... a far cry from several years ago when she had forgotten what it felt like to be happy. From £10 left in her purse, depressed, desperate and full of fear to becoming totally at peace, happy, financially free and a TV Secret Millionaire, Sue has achieved an incredible life transformation. Sue now dedicates her life to helping others. She is regularly in the media and thrives on helping others from all walks of life across the world with personal coaching, inspirational business mentoring and motivational speaking. Sue Stone is our VIP Gala Dinner Speaker who will share a light hearted and entertaining version of her complete lack of awareness of anything energetic which culminated in her downfall and wake up call, and her subsequent journey to a life of happiness, joy and abundance. Feel free to connect with Sue on her social media pages and you can read more about Sue on her websites. If you would like to join us on our Gala evening, you can read more about our VIP Gala Dinner Event here.